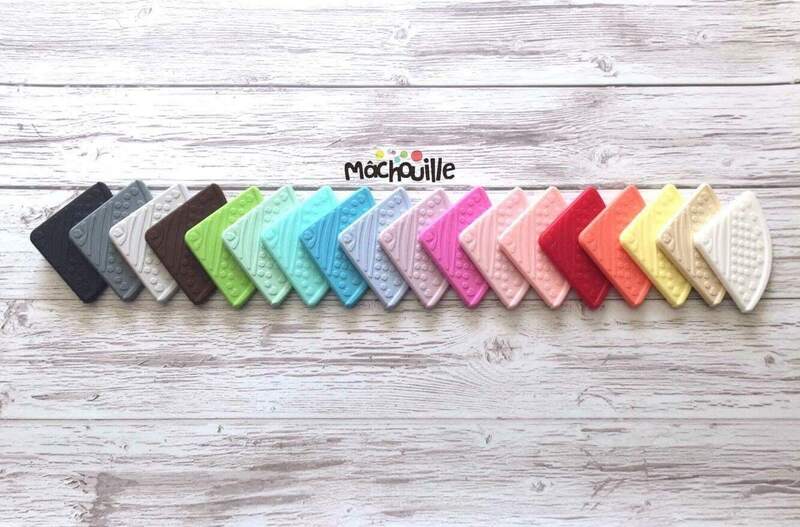 The Mâchouille's bib is a fashion accessory, both practical and safe. It's innovative design, with pleats, makes it baggy, which makes it captures more dribble. It is made of printed cotton on the top and plain cotton on the back. It also features a ultra absorbent inner liner to keep clothes more dry. 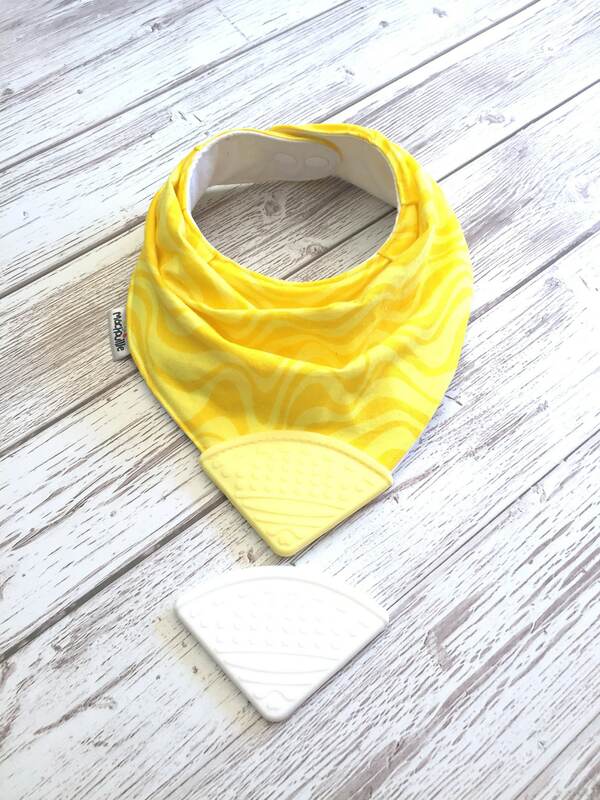 A non-toxic food grade silicone corner certified BPA, phthalates, cadmium, lead and mercury free is firmly sewn on the bib. 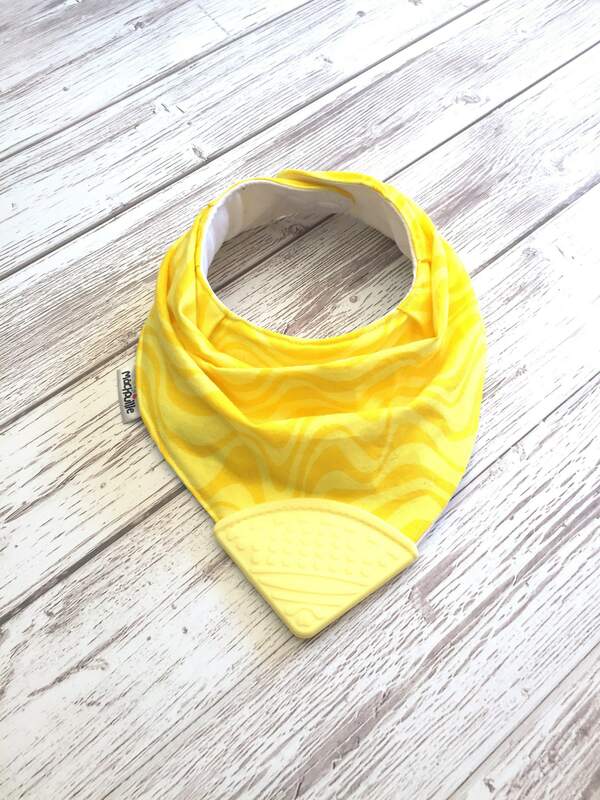 The bib is equipped with two pairs of plastic snaps It is also possible to purchase an extension also featuring two pairs of snaps that allow a proper fit to the neck of all chewers! It can be used from birth, up to two years and even more! 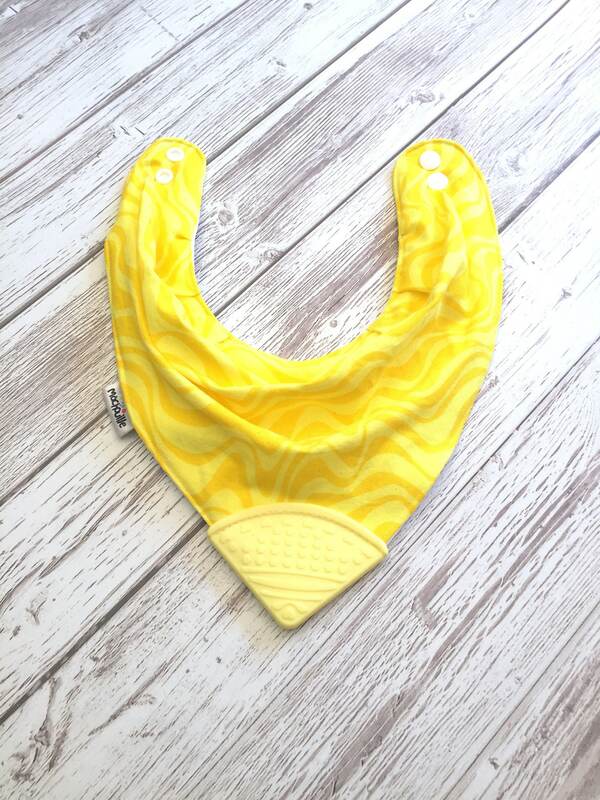 If you order an extension, it will be made from the same fabric as the bib if we have leftover scraps. If not, you can choose whether you prefer it black or white. 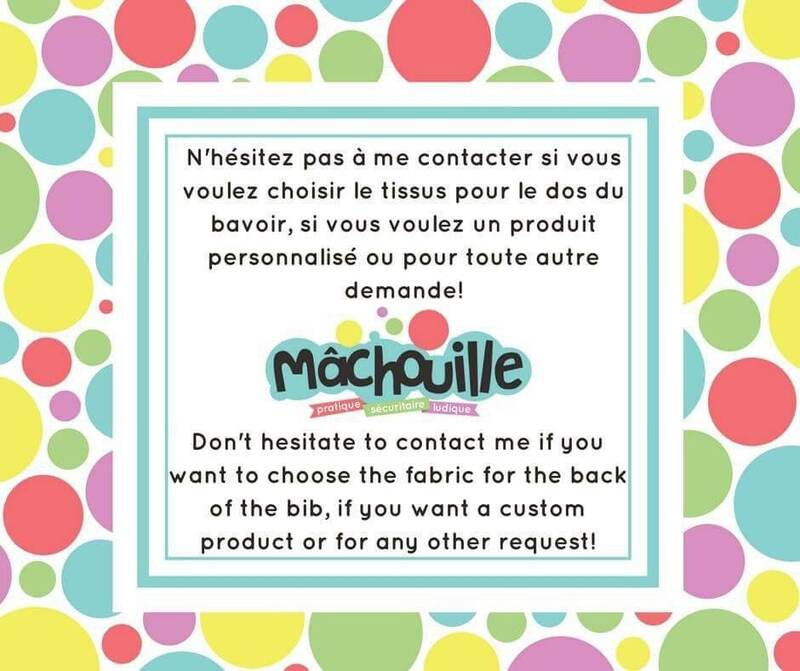 You can choose the color of the fabric for the back of the bib and snaps by writing to us. 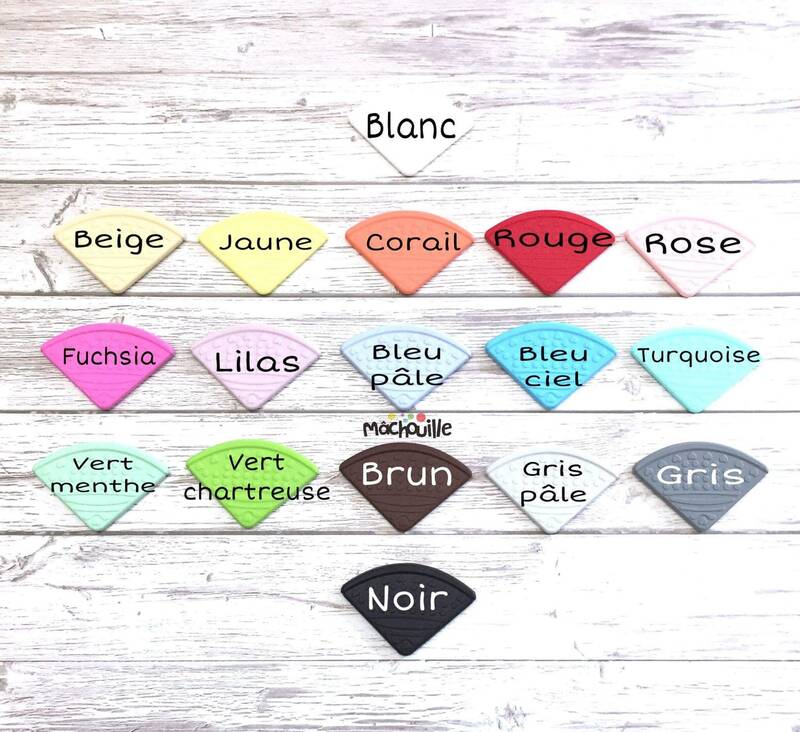 However, if it is not specified, we will choose the best arrangement according to the available colors. Please note that as this is an handmade product, the layout of the patterns on the fabric may vary. - The bib should be washed before use. - Wash the bib by hand or in the machine, on cold, delicate cycle. Air dry or put in the dryer at low temperature. Close the snaps before putting the bib in the dryer to prevent them from deforming. - The fabrics used for the bib were pre-washed with a mild and fragrance-free laundry detergent, ideal for sensitive skin like babies. - Using and wearing the bib by babies or children should always be supervised by an adult. - Do not leave babies and children sleep with the bib. - Do not let the baby or child chew the snaps of the bib. - Check the condition of all parts of the bib before use and stop using it if you notice any breakage or any alteration.